As part of of a month long look at Darksiders 3 on IGN, we revealed one of Fury's new abilities, The Flame Hollow. Also, we've announced the Apocalyptic Collector's edition! Check out the full run down on IGN or check out the video below! 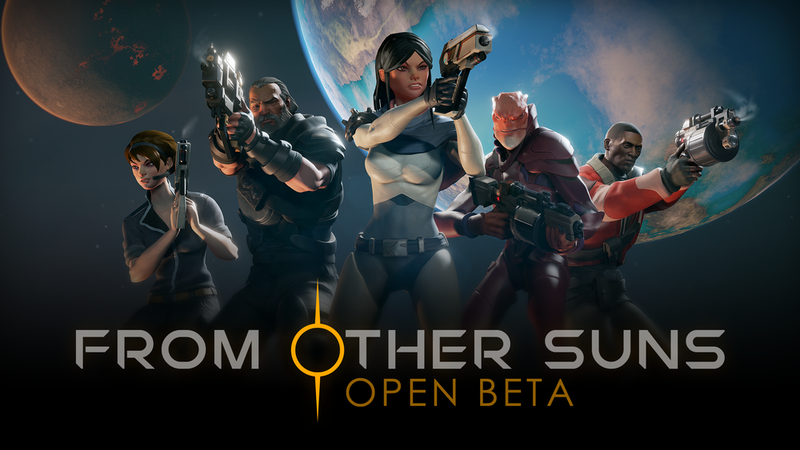 We're excited to announce that From Other Suns will be running an Open Beta Weekend starting Friday! You can download the beta starting at 10am PST September 29th exclusively on the Oculus Store. We've got a discord channel set up for players to talk with the devs, ask questions, set-up multiplayer sessions with other players and leave feedback! We've been working on a tricked out version of Darksiders II for awhile now, and it's nice to be able to finally talk about it. Nordic asked us if we wanted to do it, and we said - Heck yeah! If someone is going to take another pass at the game, it might as well be us. Go check out our Darksiders II : Deathinitive Edition page. There's not much there, but then again, what is there to say? Imagine Darksiders II - only better! "And the number of the Riders shall ever be...Four." With things starting to ramp up over here at Gunfire, we figured it was time for a new look. Our plan is to post regular updates on the projects we are working on, so be sure to come back and visit from time to time. If you rather we tell you what's going on, just sign up for our mailing list (sign up is on the right).